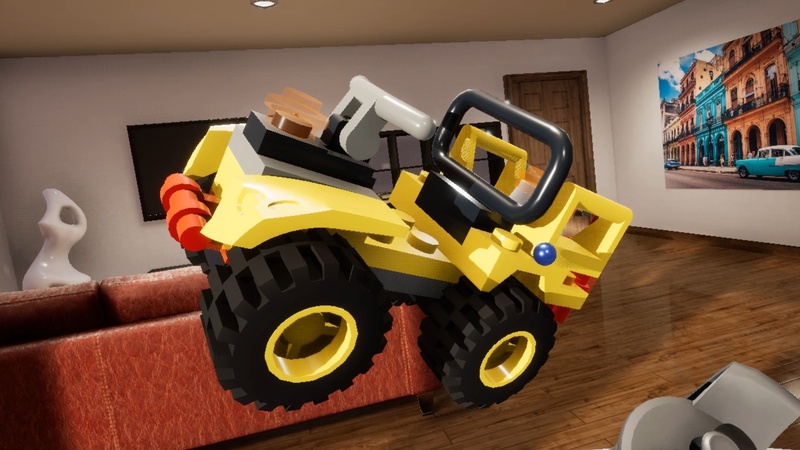 In this Virtual Reality game you construct brick-building sets using motion controls. 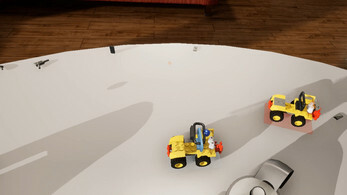 The menu on your tablet provides numerous options to tweak your relaxing experience. In order to have any sets in the game, you need to download and run The Bricksperience at least once. 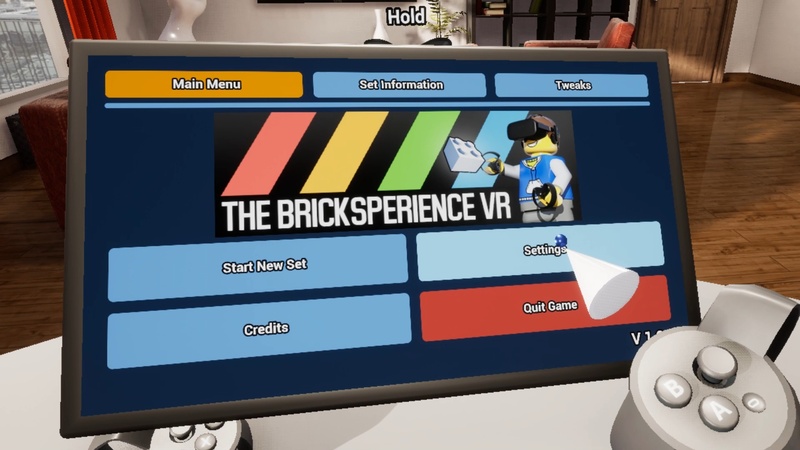 This means any set you imported into The Bricksperience can also be played in VR. 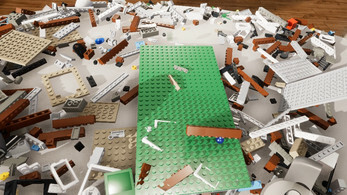 It's made using the Unreal Engine 4. 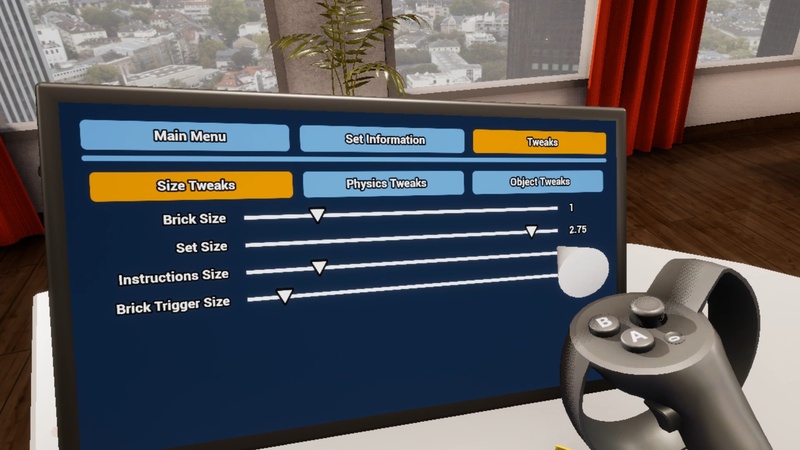 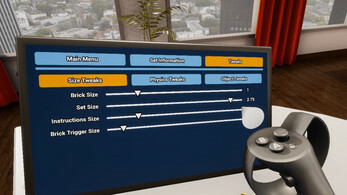 While it has mainly been developed for Oculus Rift + Touch, any Windows-compatible set of HMD + motion controllers should work.